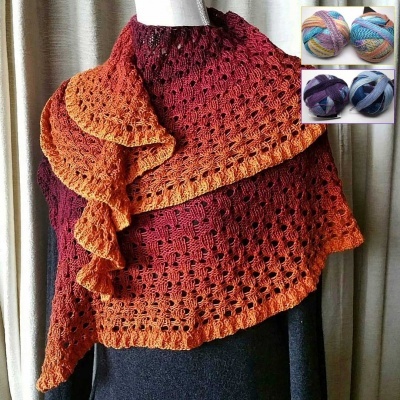 Through the last few years we have featured some stunning shawls that had been especially designed for us at EarthFaire by some awesome designers using yarns from The Unique Sheep. Plus! 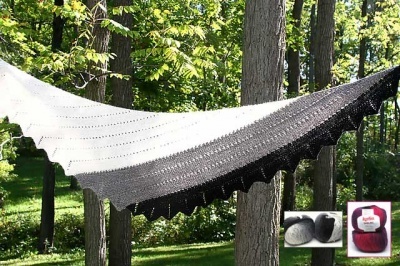 Some are now available in two brand-new yarn bases -- delicious fibers to add even more beauty. So we are thrilled! If you check out our Clubs section you will find some real beauties, any of which can be pre-ordered. Just be aware that they are dyed to order and will take about 4 to 6 weeks to be ready -- need I say that they are definitely worth the wait? This article was published on Thursday 15 December, 2016.